As a teenager, Jill Shannon fell victim to her stepfather's cruel abuse. Now, as an adult, Jill's made it - she has a successful career and a solid, if not static, marriage to Detective Alex Shannon. Together they live out what seems to be a perfect life in Seattle. The vow she made as a teenager to never again be a victim lies dormant - until one day a reporter lures her to his hotel room under the pretense of an interview - and suddenly it all comes rushing back. This author needs a larger Audible audience! 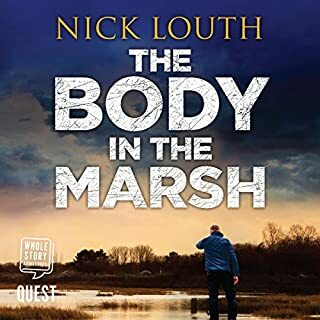 When the naked, battered body of an unidentified teenager is found dumped in an alleyway, postmortem finds evidence of a harrowing series of events. Another teenage death with the same MO pushes DI Hannah Robbins and her team on the Nottingham City division Major Crimes Unit to their limits - and across county borders. In a race against the clock, they attempt to unpick a thick web of lies and deceit to uncover the truth behind the deaths. But it doesn't stop there. When catching a killer isn't enough, just how far are the team willing to push themselves to save the next girl? I downloaded this book as a free narration with my KU subscription. The author for some reason alternates between first and third person. The first person chapters are those by the Detective Inspector Hannah Robbins, who is heading up the investigation of the killing of a young girl. The thrid person POV involves another officer and a victim, each in separate chapters. I didn't really care for this switching of POV and I think she would have done better if she had opted for a deep third person for the entire book. The characters are not particularly interesting, although they are competently drawn. It was just had I met them in real life I wouldn't want to spend 8 hours with them. I think the only time her writing had a spark was when she detailing investigation procedure. There she was self assured. She can plot ok, but I think she needs to concentrate on making readers care more about her characters. These characters are a bleak and humorless lot, as is DI Robbins. The author also concentrated on Robbins' drinking and love life which is probably foreshadowing.future problems. It probably doesn't help that I had recently listened to Stuart McBride's latest Logan McRae novel. Now there is a writer who can make a dark and horrible story spark. Rebecca Bradley did a great job of crafting well-rounded characters. If you enjoy thrillers then this book is for you. The female DI spends too much time in internal dialog covering non detectuve daily life. I find this tiresome. Is this the new norm for women in detective jobs? Anyway, this is a good enough read if you really like British police procedurals. I see this is book one of a series that I will try again. A police job in Robbery/ Homicide bears the title of police researcher. I hope this is a real job description, I'd apply in a New York minute. Unnecessary vulgar language. Good story and read well. I do not enjoy the read when the language offends me. I am into British police books but this one left me wanting. She used alcohol for a crutch. Self centered and the compassion was forced. Everything was about her and she couldn't even muster up caring for her own father. It didn't even have to do with competing in a mans world it was about wanting everything for Hannah and if it upset her world then you only just exist. Yes, absolutely. 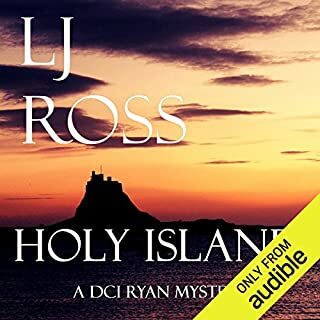 This is an amazing book which, despite already having read the kindle version, I went on to buy the audible version to listen to it and refresh my memory before the second book is released in the summer. What other book might you compare Shallow Waters to, and why? I couldn't specify a particular book but I personally think that anyone who has read and enjoyed Mel Sherratt or Angela Marsons would enjoy this book and certainly think Rebecca Bradley is up there with the best. Which character – as performed by Colleen Prendergast – was your favourite? Although Colleen doesn't alter her voice greatly to switch between characters, I thought this was better in some ways as in other books I've listened to previously, I have found this to be annoying and slightly off putting. Having said that, my favourite character has to be DI Hannah Robbins. Yes, I sat at the traffic lights yesterday evening with tears streaming down my face. This is such an amazing first novel by Rebecca Bradley and I'm very grateful to Mel Sherratt for recommending this to me. Having immediately signed up to the author's newsletter, I look forward to seeing the release of her new book. What an utterly dreary novel. I'm not sure if it was the narrator or just the overly precise to the point of boredom description. Worst book I've listened to so far. optional heading not actually optional! Mr Plod at his best with some child abuse thrown in for good measure - very dreary book but I did manage to finish it!!! 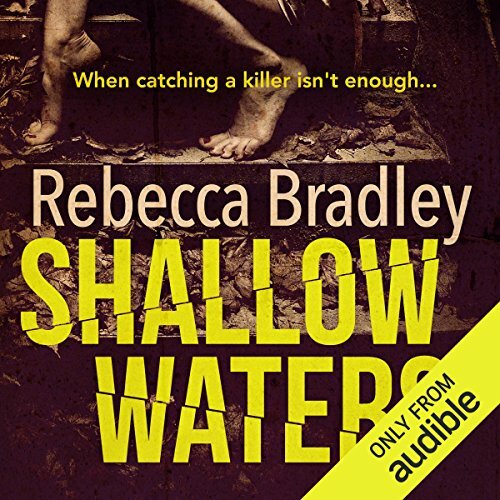 As a fan of inspector Morse I was looking forward to listening to the Shallow Waters story and it did not disappoint. There was a lot of interesting information about how the police investigate murders as well as the more personal side of those who are doing the investigating portrayed in the story. It was good to see a strong woman as the main character who lead the investigation after a young girl’s body is found in a disturbing condition next to the rubbish bin. 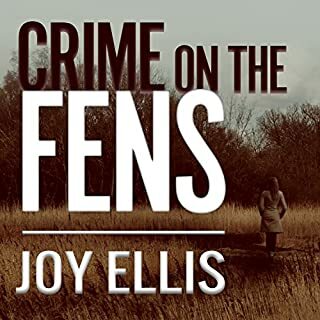 DI Hannah Robbins and her team of the Nottingham City division Major Crimes Unit, use all their combine skills and pull all their resources in trying to find not only the girls identity but more importantly her murder. Which leads them eventually to expand their search to another county and to stretch the team to its limits. In the story there seems no time at all until another poor girl is found murdered and found in similar situations. 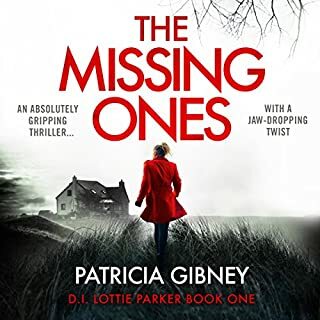 So now the race is on to find a deranged serial killer and DI Hannah Robbins is on the case and is not held back by anything even her lover who is a newspaper reporter. I like the interactions she has with him and with her team, personal and professional. I loved all the detail and very believable procedures that are explained though DI Hannah Robbins eyes. Mostly I loved the narration of the audio book by Colleen Prendergast, who made all the characters believable. The evil ones more mad and chilling. The hero’s more human and brave. I would give this audio book 5 stars. This is not a children’s book but strongly recommend it if you like crime thrillers. 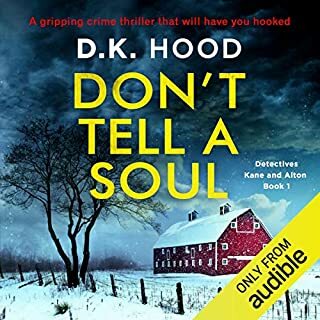 This was rather like audible wallpaper - the story was OK, but the writing style was dull and the performance seemed at times as though the narrator was reading from a police procedural manual. I suspect that was probably the fault of the author, who seems to have either worked in a police station at some point, or else had information fro M a Po!ice officer and lifted it word-for-word from what she has been told. The story doesn't flow, but is broken by these passages of police procedure. Also the narrator has an unfortunate habit of pronouncing had as "hat", which is something I tell my young daughter off for, so I found that really distracting. Not really worth the time e it takes to listen to it, unless you want to be pulled to sleep.